It looks like Gothams’s caped crusader could finally be joining Arrow, Supergirl, and the Flash in the very popular “Arrow”-verse. But before Batman fans start to mark their calendars, it will not be Bruce Wayne representing Gotham on the small screen. Variety has learned that The CW is developing a series based on another famous vigilante, Batwoman. 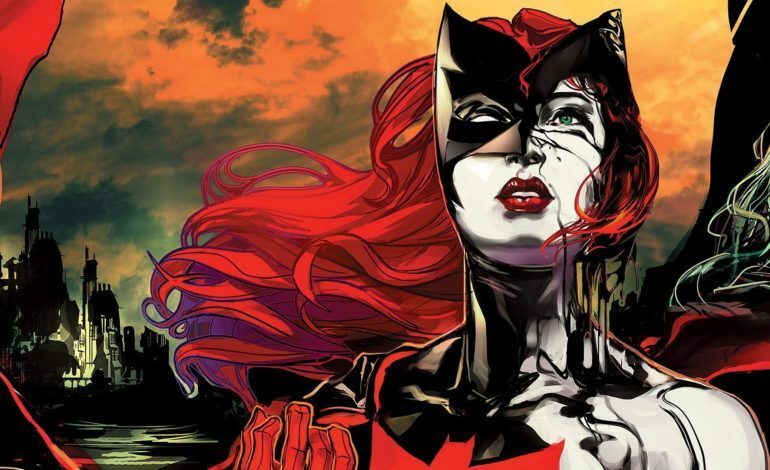 It was previously announced that the annual crossover event that spans over the The CW’s DC shared universe which includes Arrow, Supergirl, The Flash, and Legends of Tomorrow would include Kate Kane’s Batwoman. Now it seems the network behind such hit series as The 100 and Riverdale will will be attempting to give the female caped crusader her own series. Production is expected to begin on the live-action adaptation in the spring of 2019. The series would revolve around the DC character of Kate Kane who is armed with a passion for social justice and a flair for speaking her mind. She soars onto the streets of Gotham as Batwoman, an out lesbian and highly trained street fighter primed to snuff out the failing city’s criminal resurgence. But don’t call her a hero yet. In a city desperate for a savior, Kate must overcome her own demons before embracing the call to be Gotham’s symbol of hope. Batwoman, not to be confused with Batgirl, was first introduced in Detective Comics #233 in 1956. The character then had her own series in the New 52 launch from DC Comics. When it was canceled, Kate Kane was bought back into the fold with the new DC Rebirth series. While Batgirl and Batwoman appear similar they are as different as night and day. Batgirl is Commissioner James Gordon’s daughter Barbara Gordon and fights crime with a moral compass like Batman. Batwoman is a much darker vigilante and it will be interesting to see how fans receive her live-action debut. While no one has been announced as part of the cast yet, behind the scene of the upcoming CW series will be a solid lineup of writers that are seasoned veterans when it comes to the network’s programming style and have ties to other DC properties. Caroline Dries, who has worked on The CW’s new iteration of Melrose Pace and The Vampire Diaries will serve as writer and executive producer. She also worked as a writer on the series Smallville which worked as a somewhat prequel series for the Man of Steel, Superman. Also working on the show is Geoff Johns, the former head of DC Entertainment. Johns will be joined by Greg Berlanti and Sarah Schecter who will also serve as executive producers on the Batwoman series. This will be Berlanti’s seventh show with the CW should it get a full series order, which seems very likely. Batwoman is a very exciting prospect as she is very different then the Dark Knight. She wields pistols and has a much different origin than Batman. She will be the first openly gay DC superhero which would also add to the CW’s wide range of diverse properties. Its been suggested that the series could air in 2019 and with them eyeing a spring production start it would be safe to say that Batwoman would make her debut late next year.